So one of the models on MM has an Arabian horse named Blue, and she is letting me come and sketch it. Awesome horse... and she trained it herself. It can rear up, and has a crazy bow. 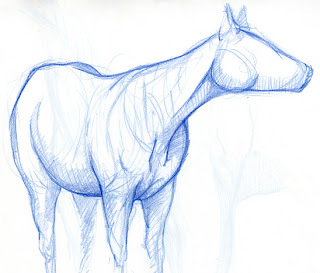 I am heading back out on Sunday so I hope to have a lot more horse sketches coming up.